Have you ever cracked open a bottle of Tropicana orange juice and thought to yourself, “I would drink so much more of this juice if it smelled even more orange-y”? 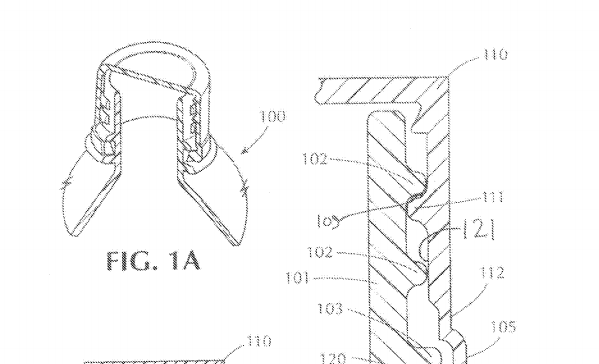 Probably not, but the folks at PepsiCo are seeking to patent technology that would arouse the customer’s sense of smell from the moment the container is opened. According to Beverage Daily, PepsiCo filed a patent that would use aroma compounds encapsulated in gelatine capsules. These capsules would break when a drink container is opened, releasing the scent. “When a beverage or other food container is first opened, it is often desirable that the consumer perceives the aroma of the food,” write the inventors in the patent application. Ideally, this alluring aroma would come directly from the food itself. But some things don’t give off much of a scent without a chemical nudging that might adversely affect the taste, or the opening of the container is too small for the scent to escape. And since, as the inventors claim, “aromas can in some instances have substantial impact on consumer perception of the taste of a beverage or other food, trigger a favourable emotional response, elicit a favourite memory, and/or otherwise improve overall product performance,” there is a need for effective ways to deliver that aroma. Per the patent application, the scents would be contained within gelatine capsules that could, for example, be placed between the bottle and the screw-top cap. When the cap is unscrewed, the scents are released. Though the capsules are not hitting shelves anytime soon, one beverage industry expert says there may be concerns about whether they would be vegetarian-friendly. Previous What Does It Actually Mean For A Product To Be “Green” Or “Environmentally Friendly”?